The most rambunctious garden fete will once again be celebrating its glorious miscellany of wonder on the weekend of 31st May-2nd June 2019. A Cornish music festival like no other, The Great Estate is a circus of marvel that courts the preposterous and delights in the magical. 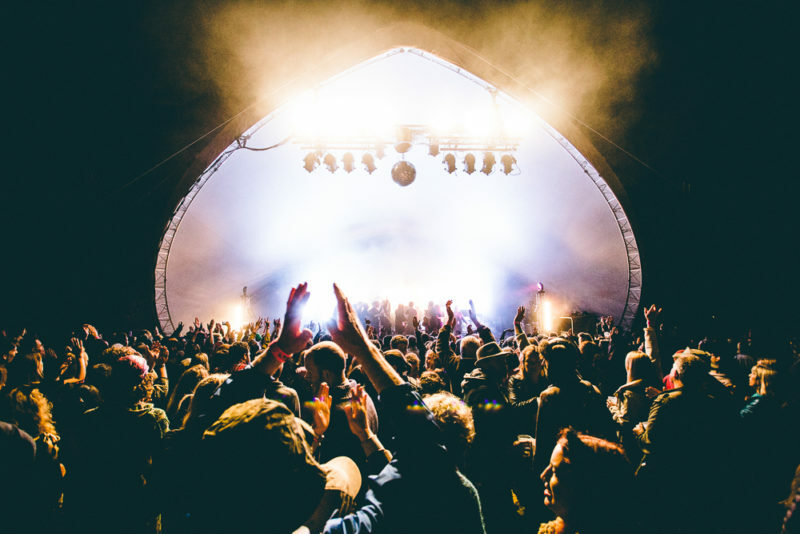 All set in 400 rolling acres of private parkland and historic gardens of Scorrier House and with a musical line-up to thrill, The Great Estate festival is one that you can’t miss. But what should one pack for such a splendiferous flight of fancy? And what can’t you do without? Find out in our definitive guide of what to pack for the Great Estate Festival 2019! First things first- TICKETS. When you purchase tickets for the Great Estate Festival 2019 you will be emailed an E-Ticket which will be sent to the email address you supply on booking. We ask that you print this out and bring it with you so that our box office team can exchange your printed E-Ticket for a wristband which will permit you entrance to the festival. Your wristband also permits you re-entry over the weekend so don’t lose it! Be sure not to forget your ID too (which we’ll require to cross reference your tickets). Whether you plan to spend most of your time at The Sanctuary finding your inner peace, or inside Madam Wong’s House of Wrong where sword-swallowing and contortionism is the norm, flip flops are standard Cornish footwear during summer months. Feeling the freedom of air upon your tootsies encourages those footloose fancy-free festival shenanigans we love here at The Great Estate! So also be sure to pack your dancing shoes. And whilst we all hope for glorious sunshine and bluebird skies, if the heavens decide to open then the ground underfoot can become a little soggy so be sure to pack your wellingtons/sturdy boots too. You’ll thank us. We relish sourcing the myriad of magical delights to entertain our revellers each year at the Great Estate Festival. We process all ideas through our imaginarium to make sure that each uproarious act will score a big fat 10 – anything less than fabulous gets tossed on the rejection pile. When visiting the Great Estate it’s essential that you bring a sense of wonder, a thirst for adventure and that your eyes (and hearts) are wide open. We’ll take care of the rest (we promise that you won’t be disappointed…). When visiting the beautiful parkland and gardens here at Scorrier House, we ask that sustainability and accountability be at the forefront of your minds. Bring a reusable water bottle to refill at the various water points around the site, don’t leave your tents behind, and please be responsible for your own waste by ensuring it’s recycled/disposed of correctly. We will issue a black bag to each festival goer on arrival and we ask that they are used. Yes wet wipes are invaluable at a festival, but try to use recyclable ones (and never put them down the loo). If you can each do you own bit by choosing biodegradable glitter, reusing stack cups for drinks and not polluting the earth/waterways then we’ll be eternally grateful, as will the planet. Toilet roll, a torch, a roll mat* and your toothbrush are all things you can’t leave the house without when wondering what to pack for the Great Estate Festival 2019. Remember it gets cold at night (especially so when the skies are clear and bright during the day) so bring warm clothes and blankets/throws to keep you snug when watching bands and when turning in for the night. Festival die-hards will also usually have with them a bum bag (to dance with hands in the air like you just don’t care), sunglasses (for sunny days and delicate mornings) and a battery powered phone charger (you can’t take selfies or find your crew if your phone is dead). *If you’re staying in one of our glamping bell tents you won’t need a roll mat! You can bring food into the camping areas of course, but please be aware that no food or drink will be allowed into the main festival arena at all. If you want to bring some drink to enjoy at your tent/motorhome, then we permit a consumable amount of alcohol per person but anything in excess of this will be confiscated. For those unsure what a consumable amount might be… that’s up to one crate of beer or two bottles of wine per person (per weekend ticket). 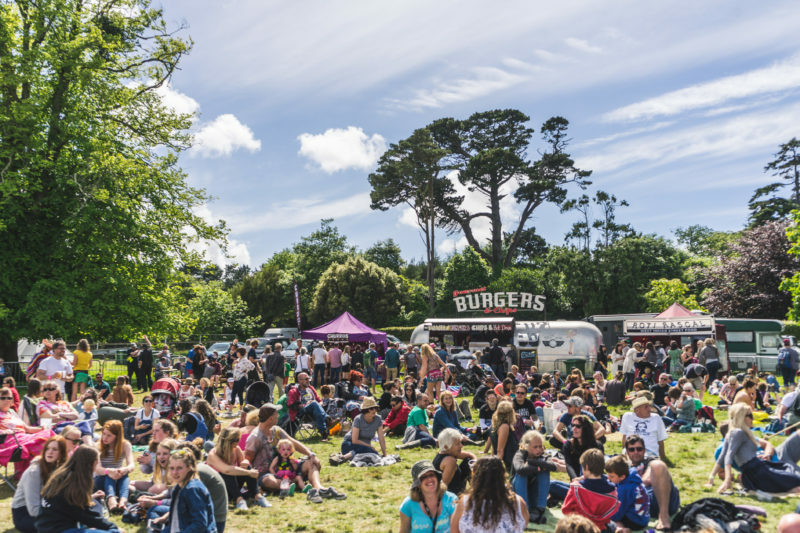 There will be oodles of food providers and bars to choose from at the Great Estate Festival 2019 so you don’t have to worry about bringing your own.